On this episode of SPx, Joe & Ashley sit down with Station House owner, Tampa Bay Investor, and curator of St. Pete's cool vibes - Steve Gianfilippo. His company, Gianco, is poised to open two new locations of his beloved St. Pete co-working and community space in the next year. The Station House Arcade, soon to open on the 600 Block of Central Ave in St. Pete and Hyde Park Village in Tampa, set to open in 2019. In this jam-packed episode, we dive into his inspiration for the design of his unique spaces from his roots in New York and his travels around the world. 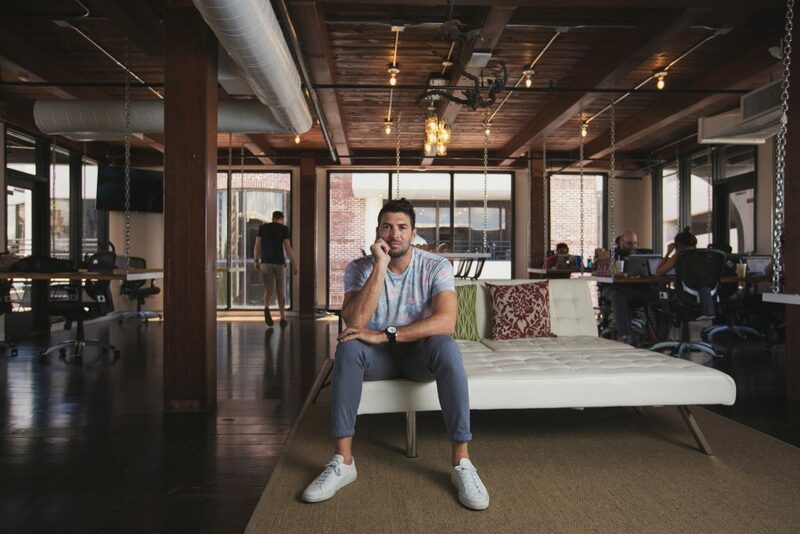 He shares what work-life balance looks like as an entrepreneur in St. Pete, and how St. Pete can further elevate its brand. Steve Gianfilippo (Flip) is owner and creator of Station House, as well as Gianco, a multi-faceted investment company. Gianfilippo is in the process of renovating and openings two new Station House locations - one on the 600 block in St. Petersburg, and one in Hyde Park Village in Tampa. Despite the skepticism (mainly from our host), Gianfilippo says the expansion to Tampa is good for St. Pete, "So now we’re spreading our seeds all over Tampa Bay, and it started in St. Petersburg." Gianfilippo sees the Tampa-St. Pete connections like other complimentary cities in other states, such as Denver-Boulder, or Brooklyn-Manhatten. For those who have never stepped foot inside of Station House, Gianfilippo describes it as: "geeky enough to be like a WeWork co-work space, but cool enough to be like a SoHo house in New York." "It’s a combination of co-work space mixed with a social element, a community element, we have individual memberships where you can come in and use the space, use a conference room, use the business center, exercise if you want, take a yoga class, visit the restaurant… or you can actually rent an office there as well." "All the buildings that we own downtown St. Pete are historic or built in the early 1900s. And I’ve always been better with taking things that exist and tweaking them to make them better versus going from a blank slate." Gianfilippo has a special process when he acquires a building: "Every property that I’ve bought, the first thing that I do is I go to the History Museum and I pull all the cards on the property. And it’s super inspirational to go do that. And it’s very powerful to see what St. Pete used to be like." If he could add one thing to Station House's flagship location, "I think it would be a toss up between more offices and probably some residential component, and so maybe some apartments or hotel rooms." Gianfilippo credits the feeling of ownership and pride by the residents and visitors of Station House to its success thus far, who bring their friends and family to see the space: "This is our city. Come check out all these cool places and come here." The Station House Arcade will be opening soon on the 600 block of Central Ave. Despite it only being a few blocks from Station House's original location, Gianfilippo says the locations are worlds apart: "Well, the original Station House is more in the core, financial district of downtown, whereas 689 Central and the 600 block is more of a grassroots area, and so mom and pop shops, start-up businesses, small businesses that need a place to thrive because the downtown core is too expensive rent-wise...if you look at the Station House Arcade logo, it’s very colorful and artsy, and we wanted that to represent what we think is the culture of the 600 block." The investment scene in Tampa Bay: "I think traditionally Tampa is more of a real estate investor type community with a lot of wealth and different businesses, but it’s not really a tech investor type anatomy that’s here. And so, I think it’s about changing the expectations and opening up the opportunities for different types of investments to the people that do have a lot of wealth here." Gianfilippo says that one thing we are missing is a major marquee venue for St. Pete's artists, to provide an upscale, expensive vibe in which the art can be taken seriously and priced accordingly. Another missing piece to the puzzle? A convention center, to showcase St. Pete, instead of allowing it to be another stop on the Tampa convention center tours. Gianfilippo's biggest challenge as an employer? "there’s a sense of obligation that I’ve put on myself to know that the people inside our organization are not just working for me to make money – there’s a tremendous obligation on me to further their careers." How can Station House (in all of its locations) serve its residents and visitors better? "We wanna maybe look into having daycare or night care, so we could accommodate the 24-hour entrepreneur and families." Steve's shout-out? JP Dubuque at the St. Pete EDC. "We tried to make Station House a representative of what to expect when you visit St. Petersburg. So, there’s lots of art on our walls, you get a huge mix of demographics in the space from artists and creatives all the way to real estate professionals, financial professionals, ex-banks presidents are in there, starting new businesses and consulting businesses." 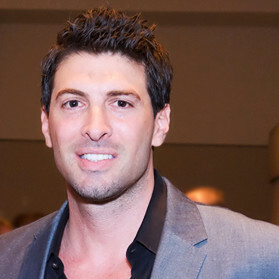 Steve Gianfilippo is an entrepreneur among entrepreneurs. 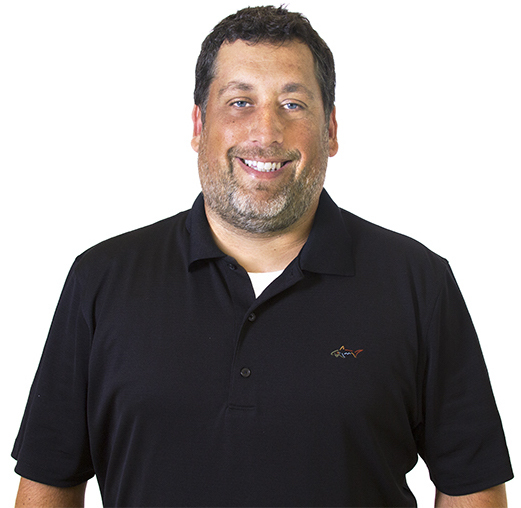 He is the mind behind numerous real estate, hospitality and tech ventures in Tampa Bay. His most well-known (and loved) venture, Station House, is a space that marries innovation, community and business together in a cultural epicenter like no other. Ever-bustling with community leaders, real estate executives and hungry start-up techies, Station House embodies everything St. Pete is and strives to remain: a place to work, live, and play simultaneously. An Italian New Yorker to his core, Gianfilippo has a taste for the finer things, and a penchant for sharing his taste-making with his chosen home. Despite moving to Florida when he was two years old, Gianfilippo has never really lost the sense of connection to his birthplace, and it shows. Not only in his savvy, fast-paced business dealings, but in the projects he undertakes. Gianfilippo, and the company he founded, Gianco, have played a major part in the curation of St. Pete’s culture, and the rest of the world is starting to notice. When Gianfilippo opened the flagship Station House building in late 2014, no one was quite sure what to make of it. The spaced opened in progressive phases. First, the restaurant (now replaced with ramen-haven Ichicoro Ane), then upper-floor private office space, and finally the entire main space, his first co-working endeavor, complete with Kahwa Coffee and Tebella Tea Co. Gianfilippo invested nearly $5.5 million in the purchase and renovation of the century-old historic downtown space, which previously housed a fire station, a hotel and a train station. As for the foray into Tampa? The space will be new construction, completely different from the historic buildings Gianfilippo has renovated. According to the Tampa Bay Times, the aesthetic will match the “clean, white-washed brick” feel of Hyde Park Village, rather than the vintage, polished look of Station House’s flagship. "We want it to be a meeting place where collisions happen, and people come to meet one another." (37:40 – 43:15) Who Can Raise St. Pete Even Higher? Joe: We’re here on SPX and my name is Joe Hamilton, and Ashley Ryneska is willing to introduce our guest. Steve: Funny story, first name being Steve. Steve: All my friends in high school, we got to graduation and they called my name and they said Steve and Gianfilippo, and my friend looks over me, he goes, ‘Wait a second. Your first name is Steven? I thought it was Gian and your last name is Filippo.’ So, for four years people just got my name wrong. So, I’ve become accustomed to it. Ashley: What do you go by now? Ashley: You don’t go by Steve? Steve: My mom calls me Steven and my sisters call me Steven and everybody else calls me Philip. Ashley: Everyone else, so you don’t have to pass some kind of test, or to get to the stage, so I can call – having never met you, I can move to Filip now? Ashley: Yeah. Got in line. Joe: My first question gets the full scolding name – Steve Gianfilippo, why the hell are you taking the Station House to Tampa? Tell me why I’m wrong for being angry about that. Steve: You should be really happy about that. Ashley: I, for the record, am not angry about that. Joe: I’m not really either. I think there’s a good point to be made here. Ashley: Congratulations. It’s… Rock on! Joe: Which one’s ahead? The 600 block, or the Tampa one? Joe: So, it’s been pretty good. Steve: …like a month. Tampa will be probably quarter number two of 2019, so we have a long runway. Why should you be happy about that? Joe: Yes. That’s what I meant. Steve: Well, because it was boring in St. Pete, right? Steve: So now we’re spreading our seeds all over Tampa Bay, and it started in St. Petersburg. And I’ve always made a connection between Tampa and St. Petersburg, and I use the word cross-pollination. The great part about it is the buzz in Tampa of people that know Station House and know St. Petersburg. We’re excited for it, and so I think that is really shedding some light on St. Petersburg, right? Because this is our original location. Not only that, the developers that are behind Hyde Park Village – I don’t know if anyone knows WS Development – but they are a private developer, they are based out of Boston and they have 93 developments across the country. They have multi-billion-dollar investments, they know Station House. Their people are here in St. Pete, they were here yesterday and the day before, and so it is bringing attention to not only Station House, but St. Pete. So, that’s why you should be happy. Ashley: Very happy, we’re happy. Ashley: I remember we had Tim Moore from Diamond View Studios on the show, and they’ve done a lot of production at Station House St. Pete. And they were talking about the need to start to infuse downtown Tampa with some of we’ve got going on here, and his beat was really with respect to the art scene and some of the murals and some of the… really, the eclectic look and feel. But now you’ve identified maybe some other areas where Tampa really is taking notes from St. Pete’s book and applying it to their story. Steve: Yeah, absolutely. I think… I always make the connection between Tampa and St. Pete and correlated to a Denver-Boulder relationship, or Manhattan-Brooklyn. And I think that speaks volumes for the personality of St. Petersburg and that there is a complimentary relationship between the two cities. And Tampa is starting to catch up and Tampa is learning from St. Petersburg and we should be learning from Tampa. Tampa’s, I think, our big brother, and it’s a much larger city population-wise, it’s pulling from lots of different areas and we’re seeing a huge influx of capital in both areas. And so, I never discount what we could learn from each of the cities, because they’re very complimentary to one another. And St. Pete being very art-scene, cultural, having the best beaches and best weather, Tampa being more focused on conventions and sports teams and different things that complement as well. Ashley: And for those listeners who have never stepped foot in a Station House, could you give us a little bit of a rundown? Steve: I can. Yeah, I can. Station House is, I like to say, geeky enough to be like a WeWork co-work space, but cool enough to be like a SoHo house in New York. And so, it’s a combination of co-work space mixed with a social element, a community element, we have individual memberships where you can come in and use the space, use a conference room, use the business center, exercise if you want, take a yoga class, visit the restaurant… or you can actually rent an office there as well. So, we have furnished offices available, we have multiple conference rooms and it’s a little bit more community driven than you would expect a co-work to be, and so that’s where we have a lot of pride in the brand, it’s that we tried to morph into the location that we’re in, and so we tried to make Station House a representative of what to expect when you visit St. Petersburg. So, there’s lots of art on our walls, you get a huge mix of demographics in the space from artists and creatives all the way to real estate professionals, financial professionals, ex-banks presidents are in there, starting new businesses and consulting businesses… We have politicians in there, and so we really welcome everybody into this space, and we try to just make it a place for people to come and meet one another. We have tech companies in there, we have PandaDoc, which is based in the San Francisco – and we want it to be a meeting place where collisions happen, and people come to meet one another. Joe: That definitely does happen. One thing that I love about it, and I think you and Ryan Griffin are similar in this regard, in that the things that you guys bring to the city have a ton of character and it’s always unique. There’s nothing cookie cutter about the Station House, it just throws St. Pete flavor out and it builds the culture… I think Mandarin does that as well and some of those things. And you’ve always been boutique in that way. Why do you stick in that space? Steve: Yeah, they’d be black and that’s all we’d be doing. So, I think I’m conservative by nature, so I like choosing buildings, and all the buildings that we own downtown St. Pete are historic or built in the early 1900s. And I’ve always been better with taking things that exist and tweaking them to make them better versus going from a blank slate and an empty postage stamp property and saying, ‘Hey, let’s build something new on it.’ And so I’ve always gravitated towards that, and there’s obviously a lot of history in the buildings that we’ve acquired, but I think you have to look back to the roots of St. Petersburg and just… every property that I’ve bought, the first thing that I do is I go to the History Museum and I pull all the cards on the property. And it’s super inspirational to go do that. And it’s very powerful to see what St. Pete used to be like, not only in the ‘20s, but then there’s a low and then in the ‘50s, around World War II… You look at some of the photos, and the streets of St. Pete were just flooded with people, whether it’s military or dignitaries. It’s a cool place to be here, and some of that architecture just doesn’t get represented anymore in new buildings. And so, I’ve always just found it really special when you talk about being different, bringing cool, is you have the best opportunity to present that with the older buildings than you do with doing new construction. It’s just hard not to be cookie cutter when you do something new. So, that’s kind of what we’ve been focusing on. Ashley: You talked about the utilization of the space and how different workers and those that want to be active can do yoga on the rooftop, and eateries and opportunity to have a cup of coffee or a cup of tea. But to Joe’s point, really the architecture and the design seems to be – it’s one of the most beautiful spaces I believe, in downtown St. Pete. I’m sure you’ve heard that before. Where do you, besides historical reference points, where do you glean most of your design inspo? Steve: Well, I was born in New York, so that’s where my roots are, and so there are a lot of buildings in New York as well that are old buildings that have been redone. And so, a lot of my inspiration came from those buildings in New York, SoHo house in New York, or NeueHouse, which is a co-work space in New York. Gramercy Park Hotel… The columns that we have wrapped on the second floor, that idea came from Gramercy Park Hotel lobby. The double chandelier that we have, Gramercy Park has one in their lobby. So, I pulled a lot of design cues and things that were memorable to me and my travels and being in New York and pulled them down here. And you mentioned the word different, Joe. I talked about this with WS Development the other day and there’s form in function. And we’re joking about it, because their CEO leads with form, and so do I, we’re like, ‘We can go back and fix the function, but let’s get the form right, because that’s what motivates people.’ Visually it’s very easy to attract people to your space, visually, right? First. And so, we want that first impression to be something unique and something cool. And so, I think New York was a big inspiration, and then obviously the research that we did, the History Museum, to bring that to life. Ashley: If you were ever given a chance to add one more level of expansion to the Station House as it exists today, what would that be? Joe: I don’t want to overblow the compliment, but I think even different just wasn’t the right word. It’s just… there are… You said lifestyle, and St. Pete – it has a personality, it has a vibe, and there are feeders for that vibe, there are things that push out that vibe and I think different is easy, but I think what you and Ryan are doing is that, it’s feeding the vibe and it’s creating it. So, it’s life giving in a cultural sense. Ashley: Yeah. It’s interesting, too. I hired someone out of state to come and work for me and she wasn’t familiar with St. Pete, and she came from LA, and she was really keen on the places to see and be seen. And when she had a first opportunity to work out of the office, she chose the Station House to see and be seen. There is that cool component to your space as well where socially it’s revered as being sort of a tool in moving through. Steve: Yeah. I think I she’ll probably be happy, because the apartment complex that we’re doing across the street, we’re gonna design it after a place in Hollywood called Palihouse, which is a hotel/furnished apartment building. But it’s a great compliment to hear that. We get a lot of people at the Station House that come in and take photos and get to our member spaces that aren’t members, and they find their way up there and we’ll find them online that they’ve taken photos. And we want that stuff to happen, so I’ll reach out to them personally and be like, ‘Hey, thanks for taking photos on the roof. If you ever want to get up there again or get into any of our other buildings…’ And I think you touch on something that I focus on, which is getting the residents and the visitors to take ownership of your property, and that’s what we try to do at all our properties, which is – establish a level of pride in the people that visit and live here and the community, that they say, ‘Hey, you have to come check out this place. This is our city. Come check out all these cool places and come here.’ And organically that allows us to really not spend a lot of money on marketing if we do it right, because then there’s all these picture-perfect moments that take place. Ashley: Well, if it’s interpreted as a catalyst to aid in self-identity, or social connection, that’s a really interesting by-product of what you’ve created. People that are taking photos on the roof and using that to define who they are professionally and otherwise. Steve: Yeah, I guess. It’s kind of funny to me as people that we reach out to are excited that we actually acknowledge that they were taking pictures at our place too. And so, we encourage it. We had that one room on the fourth level and it has a neon sign, it says ‘I woke up like this’, and I think that’s such a powerful representation of not just Station House, but St. Pete, right? Which is like people come from all over the world, and they just announced that Clearwater Beach has a number one beach in the country and number seven in the world, and there should be a sense of pride that we live here, like we nailed it, we know what we’re doing. We wake up here every day, we know what we’re doing, and you guys have to fly in and visit St. Petersburg, and it’s probably your vacation plans or you’re doing a convention and you chose St. Pete or Tampa as your place to go. It’s like… you know, we wake up to this every day. Ashley: So, if you think about that room, that ‘I woke up like this’, and you look at some of the photos that folks are taking, it seems to be celebrating an alternative lifestyle or definitely diverse population, meaning… when you go to New York and you wanna integrate into New York, you go and see the Yankees and you get pizza and there’s a homogenization to the tourism. But when you look at how people are engaging with the Station House, you don’t really see that homogenization, you almost celebrate the complete opposite of that. Steve: We do. It’s a big melting pot. Steve: It is, it is. And… diversity is key to our location. I think it’s a big… I mean, Florida is a melting pot in general, and so I think you see the personality and identities of those that come from other areas, like New York and different places. And even the generational people from St. Pete all provide some identity to the buildings and the culture here locally. So, it is a big melting pot, and sometimes it’s great to be different, sometimes it’s sort of a challenge, right? Because you can’t get momentum behind things if everybody is so different, has opposing opinions on everything. So, but I think Station House is definitely made to cast a wide net on who we have under our roof. Joe: So, number two, it’s 689 Central, and you’re in the process of refurbing that? Steve: Yeah, and that’s been a long process. We bought that… I just looked at the books, I think we bought it almost two years ago. And we had a heavy ambition to add some space to that, it’s another building that was built in 1924 I think, or 1926. And so, I think we learned not to be too aggressive on old buildings like that, and it was gonna take a lot to update it and retrofit it. And so, we also saw that the market was getting a lot better too and we bought the right time. And so, we’ve taken our time on that one. We knew with the market going in the right direction that we can take our time with that one, but what we found is that there’s a tremendous amount of value in providing access to our amenities at the main Station House campus for satellite locations, like 689 Arcade. And we love the personality, we talked about different personalities in this city, and the diversity. The 600 block has a complete different personality than the original Station House location. And then you have Edge District has a different personality. Ashley: Could you define the personalities? Steve: Of… Well, the original Station House is more in the core, financial district of downtown, whereas 689 Central and the 600 block is more of a grassroots area, and so mom and pop shops, start-up businesses, small businesses that need a place to thrive because the downtown core is too expensive rent-wise. And it’s more colorful, really. I mean, we took the original Station House logo and we didn’t want to change the logo, but if you look at the Station House Arcade logo, it’s very colorful and artsy, and we wanted that to represent what we think is the culture of the 600 block. But it’s really cool, because you’re only four or five blocks away and you have a completely different personality on the ground. But we’re planning to have close to 20 offices in that location, some retail space upfront and a break room and conference rooms similar to what we have at Station House. But the cool part is, is that amenities that we don’t have at the 600 block are available to you at the main campus, and then when we open up in Hyde Park Village then we will also have reciprocity in Tampa, which is cool. We’re finding a lot of people work on both sides of the Bay, but also want a change of scenery every once in a while. If they’re mobile enough, just by definition they want to be in different areas. Joe: That makes sense. It makes sense. Joe: So, you’re investing or you’re in the investment scene quite a bit and investing occasionally. It’s strange, every time I talk to people in this space, a lot of times it’s – with the start-ups half of the people think there’s no money in Tampa, and half of the people think there’s plenty of money in Tampa. Where do you fall in that? So, it’s just Tampa Bay. Joe: Yeah. One of the things we talked… The banker that you mentioned, not without revealing him, I think it’s a common acquaintance of ours, the ex-bank president that’s at Station House – and one of the things we were talking a lot about is the model where you have an incubator-environment, maybe you have ten start-ups in it, but then have a permanent C-level staff, a CFO, a CMO, a CEO, COO that act in those roles fractionally for the different start-ups. They would be a little fun to attach to, but then the idea of being that, to really focus that… A lot of the solutions for that now, they have temporary help where you can come, spend two hours with a lawyer and then you’re off back on your own again. But when your CFO is right down the hall from you and you need to look through a term sheet or whatever, and they can help in daily meetings like a normal company, that sets you up a lot more for success, which gets us the big wins that we need to attract that kind of attention. And then in turn I think it gives a comfort level to some of those investors, because they know that people they understand are there to watch over things a little bit. I think it could be an interesting model. Steve: It sounds interesting in concept. Start-ups are very volatile, obviously, so providing structure I think it’s important. A company that I seed-funded about five years ago, I wish we had that kind of structure around the company, because I think we would’ve probably found our sales vertical a lot quicker, and probably save the company a lot of money. But I think it’s a neat concept. Because start-ups start on a shoe-string budget, right? So, if you could outsource as much as you can, I think it’s a great idea having that or some type of board of directors, maybe six to ten people that can consult on a certain number of companies on a consistent basis – I think would be really helpful. Joe: So, when you’re personally looking, what are the key components of an investment that makes you wanna look deeper into it? Joe: Let’s go tech. Just because that’s more fun. Steve: Okay. It is definitely more fun. There is a common denominator amongst any investment, and that’s it really comes down to the person that’s behind the idea. And ten out of ten times, when deals have failed it always comes back to the individual. And a deal could fail, but we’d look at doing a second deal with that company if the person in charge handled it properly. And so, even a bad deal can wind up being good down the road if the people behind that organization treat you fair. And so, I think it really comes down to studying the people that are behind any company that we would look to partner with and invest. And I could say with 100% certainty that deals that have went bad have all 100% come back to the person running the operation, the head guy, and not really – ‘Oh, hey, the market turned on us.’ Because even when the market turns on a business, whether it’s tech or something else, a good person and a good business person that has a lot of integrity will find their way out of it and protect you at all costs. And if they wind up failing at that point, it doesn’t hurt as bad, because you knew that you’re in business with someone who cared about the business and cared about your money that you put in. The second step to that is having a company that has their own capital into a deal, and so we always sure look for deals where the partners are vested. And obviously they can’t vest at the same level as we can, but as an example, the tech company that I invested in about five years ago, those two criteria were met, and so I felt comfortable putting money into that deal because I knew that the founder was a stand-up guy, he had a good family, and then he is a guy that would… he had his own resources into the deal, his own capital, and at one point even leveraged his home to put more capital into the deal. This guy, he’s committed to the cause. And I think those are the two things, underwriting a deal in the metrics of a deal, obviously that has to work to make it, but I think those are the two key components before you could even get to the third. Joe: And beyond integrity and some of the more evident qualities, are there any qualities that might be uniquely valued by you in people that you look to work with? Steve: It depends what stage you catch the company at, right? Because that guy with a great idea who is really smart just might not be good at people or operations. Right? Ashley: Or mispronounces your name. Ashley: [laughing] Written in there. Ashley: Anything that isn’t evident? Obviously, hopefully honest or hopefully transparent. Anything that’s a little odd, but you found it works? Joe: I knew it, I knew it. Steve: …or acting this certain way. But as soon as you can get them to more of a relaxed setting where you get them to show you who they really are is what we want to see and what I want to see, because I think that’s where you really determine who you’re dealing with, and so… And we learned that on one deal too, because we had a deal that we committed some capital to and everything was great, and then… It was a real estate deal, and so we did a site visit probably a year into the deal, we went to do the side visit and they sent a very junior person to me this year and that was kind of a red flag. And so, we’re like, ‘That’s kind of strange. Why wouldn’t you make the effort to have the same guys who took the money show up? You’re sending a very junior person that we haven’t met…’ And that’s when we started to see all these red flags coming from that, and so we took the guy out to dinner and then… Boy, it was just like the flood gates opened up. This guy was talking about all this crazy stuff that we had no idea about. We were like oh no, I hope this isn’t representative of their organization. Steve: Yeah. By that time, it was too late to abort, but that’s a pure example of getting through the interview process and getting to know people a little bit more before you make that commitment. And we hear it all the time, my partners that I go to for capital sometimes will do a deal without documents, because we have a level of trust. And over here I’m saying, well, don’t worry about Flip’s deal because I know they’re good for the money if anything happens. And I think that’s the type of people that we want to be selective and deal with in any industry. And obviously, the characteristic of hard work. Steve: Guys that are working around the clock, I think that’s where the real money is made if you’re in the tech business. And we see that sometimes, at Station House we see guys that are there at midnight, we see guys that are early in the morning, guys that are there on the weekends. And I’m like, those are the guys that I look at and say, ‘Oh, that guy is gonna succeed.’ And I store that in the back of my head, I’m like okay, well if we need somebody down the road to join our organization, who do you think I’m gonna go to first? The guys that I see there at midnight working. Joe: Or maybe the other guys, they’re listening to your advice and they’re out building up their tolerance, so they can do a deal with you. Ashley: Maybe the guys that are there at midnight or first thing in the morning, maybe they’re not good family men. Steve: That’s a good point. Maybe they’re single, though. Ashley: Yeah. For good reason. Steve: Well, one’s only 21, so he’s got some time, so… I’m never there at midnight, by the way. Joe: Watch the dog for the weekend, yeah. Ashley: To see how the dog that takes to you. Steve: I’m guilty of working too much. Ashley: We won’t go back. Steve: I feel like you know me already, I’m guilty of working too much, I‘ll say it. Joe: Yeah. Well, the beautiful thing is you’ve obviously set your life up with a degree of freedom, and so whenever you have freedom it doesn’t feel like work, because you’re choosing what you want to do, and you love doing it. And it’s an aspiration I have, and I’m gettin’ there. But I appreciate it, that sort of freedom to work hard and enjoy every second of it. Ashley: What do you do outside? Steve: Just a walk. It doesn’t have to be anything, it’s just the fact that we have great weather here in St. Pete and Tampa. Joe: Yeah. I feel that way more when it’s 150 degrees out than I do when it’s raining, but I get this sentiment behind it for sure. Steve: Yeah. But that’s going to more of a lifestyle thing, right? Which is hey, you have so many entrepreneurs, they want the freedom and we’ve had so many of our employees that are like, ‘We wanna be entrepreneurs’ and it’s hard to balance having employees like that, they’re always like, ‘I wanna be my own boss,’ and they don’t really listen to you. Steve: But it’s that freedom, right? And especially in St. Petersburg it’s… If you can get back to the office eight o’clock at night or whatever, but then you could take a break – and I loved when St. Pete had spring training downtown, because it was like ritual, you go see a game, you have a hot dog and you’re looking at the water, it’s sunny but it’s Thursday at two o’clock in the afternoon, right? And so, having that freedom, I think, is really important, especially in a city like this. Ashley: So, born and bred here in St. Pete, yes? Steve: Born in New York. Ashley: When did you come to St. Pete? Steve: When I was about two and a half years old. Ashley: Have you ever had a calling to live in another state? Steve: Well, I lived in Tokyo for about three and a half years. Ashley: Quite a big jump. Steve: Yeah, so I guess you can call that another state. Ashley: Well, like Colorado or like Austin, or going back to New York for a bit? Steve: I think I’d wind up back in New York or at least have a place there, because a lot of my inspiration comes from New York and I have such a big family there. But a lot of my ideas, drive, experience come from New York and Tokyo, really, because those are very fast-paced cities. And sometimes that’s really annoying, because you expect things to be done at a very fast pace. And sometimes down here they don’t happen this fast, but it’s so funny, because when I run into someone who is from one of those areas, like New York or Chicago and they move down here, they all say the same thing, they’re like, ‘Why do things move so slow around here?’ And I think that’s good, to have people like that in this area, right? Because you want to keep pushing and we wanna keep pushing forward and we want… we’re not on the planet that long, right? So, if you wanna be in the city and you want things to develop, you want them to happen, you want to see these things. But we were in Colorado a lot, we have a tech company out there, so I get a lot of inspiration from Boulder, where the company is. And then we just try to visit as many places we can. Joe: And the obviously, the antidote to being half as fast is doing twice as much, and then you’re pretty much… As long as you’re always filled up, that’s what I find. Steve: He’s good with math, yeah. Ashley: Yes, he is always. Ashley: There’s an abacus, he’s pulled out his abacus to figure that out. Joe: I put my shoes on, don’t worry. Steve: Yeah, there’s always one way to the finish line. That’s what he’s saying. Joe: So, working a lot is something that you’ve identified with. You also have a family. What’s your strategy for work-life balance? What do you do to make that happen, or do you? Ashley: Where are you getting married? Steve: I think we wanna get married in Colorado and then have a reception in New York and do the split thing. It just fits our personalities better to do a quiet, private, family only ceremony and then hold a big party in New York a few months down the road. Ashley: The reception is directly after photos. Steve: After photos, and then you have to cut the cake, and you’re putting on this theatrical event for everybody else, and some people think that’s great. I think our personalities are more like let’s do what has the most meaning for us and takes away all the stress. Ashley: She’s probably taking notes with all the weddings that you have at Station House, and how your tabs are just running right now. Ashley: Are you doing the planning, or she? Steve: A little bit of both. It makes it easier when you split it up, because we’re both not into traditional ceremonies and all of the steps you have to go through during the night. And so, I think it’s easy for us, we both want to do Colorado for the ceremony, we both want to do New York. And so, we’ve been up to Brooklyn, which I consider a lot like St. Petersburg. So, we went up to Brooklyn to look for some venues up there, and I think that’s where we’ll wind up doing it. Steve: So, it’s really… we haven’t picked a date yet, but I think it’s easy for us, because we want to do it on a Friday night. Ashley: You’ve got some options there, then. Ashley: Yeah, I’ve heard of wedding weekends, where you go in on a Friday, it’s like a full itinerary for three days, right? Steve: Yeah, it’s more like a destination, right? Ashley: Yeah, destination wedding, yeah? Steve: Yeah. And the ones that we’ve been to have all been great and you feel like you’re part of it. You feel like you’re part of the experience, whereas some weddings were just you show up for the tradition, you’re in and out, you don’t really feel like you’re part of it, you feel like you showed up and you’re obligated to show up and you caught their attention for a little bit. All the destination weddings we’ve been to, we feel like we were part of it, and that’s I think more important to us. Joe: I buy it. So, less romantic than that [laughing] … which is perhaps my specialty, you’re bringing the co-working office space, boutique hotels, Ryan – we’ll just bring him back in the mix, so he’s got the food and beverage angle covered. What would you love to see – someone that would be in the same ilk as you two – come down to St. Pete and bring us here? Anything come by to you? Steve: Like a certain group, or…? Joe: Just a certain entity, business… something that St. Pete could use that would enhance the flavor in the same way that co-working and Ryan’s restaurants and bars do, and your hotels do. Is there an opportunity, you think, for someone to step in? I know Ryan was talking about a culinary incubator, that was a cool idea. Anything else you just liked to – if I had extra time and resources and I don’t have them, I would go getting this? Ashley: Anything with music, art…? Steve: I think we have a lot out there. I think Et Cultura is doing a good job at creating some momentum in that space and I think they’re heading in the right direction. I have a couple of comments, I’m super opinionated so I don’t have any problem letting everybody know what my opinion is on what should be better about St. Pete. Ashley: This is probably where we get the cussword, the first cussword? Steve: I told you, I save them all for home, that’s what Italians do. Ashley: Like a sidewalk thing? Steve: Like a main… Yeah, like a sidewalk sale, or a main sale art fest. It’s like its in a field, right? Joe: It’s out in a field. Steve: So… like this weekend on Friday night, we’re doing an event for Becky Bukes. And she’s been really popular, she’s done a lot of murals in Tampa and St. Petersburg…but I think she gets it. And when she brought us with the idea, we’re doing this so, and says, ‘You need to do more non-profits,’ I’m like, ‘Art is non-profit to me,’ it’s like we need to help them as much as we help anybody else, and we help everybody across the board, non-profits, Children’s Dream Fund, you name it. We roll out the red carpet. But she had the right idea, which is ‘Hey, I wanna do a black-tie event and I want to do it in the Station House, I want to do it on the second floor, it’s gonna be really elegant, we’re gonna have champagne into your right.’ And so, I think that’s an important element that needs to happen here in St. Petersburg. I also think that we need convention space, right? We need convention space here, we need businesses here on the ground, because all of the conventions happen in Tampa. St. Pete and Clearwater Beach are always on their tours, right? So, why not have the conventions space here in St. Petersburg? And then circling back to your question about who would we wanna see in town – I think it’s happening. I think the people that I would want to see in town are here. Related Group is here, WS Development is in Tampa, you have the large department developers, you have Red Apple group, you have developers coming over that have done flagged hotels in other parts of the county that are now coming into St. Petersburg that haven’t been announced yet. I think that is… actually in the last week I received two phone calls unsolicited from two companies out in New York, one being the largest hedge fund probably in the world and the other one being a very popular and large equity group out of New York. And I printed out the emails, I was making sure it was addressed to me, because I was like, why are these guys emailing me and calling me? And I brought it into my partners office, I was like, ‘Look at this,’ I’m like, ‘these guys want to buy a real estate and lend money in St. Petersburg.’ And so, obviously, I called both of them and had long conversations. I’m like, ‘Why do you guys want to go in little old St. Pete?’ And they’re like, ‘Well, it’s getting too expensive down in Miami and Tampa and St. Petersburg are affordable markets with a lot of opportunity.’ These are coming from the largest companies in the world that develop here in the United States. That’s big. What more could you ask for than to have that institutional money start to flow into this area, to complement with guys like me and Ryan and Jonathan Dower doing and all the other guys that are here creating the personality for St. Pete? That personality has now attracted, and the climate and everything else that St. Pete does, right? – has now attracted the institutional capital, and that’s what we want. Because they could build the large apartment buildings that get residents downtown. So, I think that’s kind of a dream come true for this whole area. Ashley: I think just as long as the residents are working professionals as well as retirees, right? I think that that’s one of the things that we’re looking at in terms of what we’re attracting with all this residential build, what populations are we serving with that. Steve: And then the ones that can afford it that are working class and either have a room mate or whatever, they are young professionals that are great for our economy here. Joe: So, the real challenge will be – are there jobs to support…? Ashley: Businesses, yeah, that’s what I meant. So, I wanna ask you a question. So, time management aside, if you are working on anything right now in service to personal growth, what is it? Steve: So, outside of the buildings and…? Steve: Well, I think getting married is one. Steve: Can we go back to that? Ashley: Or maybe just indigenous to you, right? Ashley: Is there something within work, though, that you think is an area that you want to give a little bit of attention to? Joe: Anything you’re reading or just a mindset that you’re trying to understand better? Steve: I think the biggest challenge that I’m working on is really the personalities in employees that we staff and the growing pains that we go through by taking on these new projects, because it’s easy for me to acquire a piece of property, but then when we have to implement operations and hire new people I think my biggest challenge is my ability to interact with people and get them inspired and keep them inspired. And there’s a sense of obligation that I’ve put on myself to know that the people inside our organization are not just working for me to make money – there’s a tremendous obligation on me to further their careers. And that puts a lot of weight on my shoulders. And so, that weighs on me every day, like how do we do that? And those conversations work for me better with some peers of mine that I’ll talk to about that and say, ‘Look, I need to meet with you. How do you handle 80 employees? How do you keep them all motivated, what do you do?’ Because there’s a tremendous amount of pressure on us to have some empathy for the people that work for us, and not to just look at it as like hey, this person is doing this job for me. Like, what can I do to broaden their horizons? What can I do to get them paid more? What can I do to cross-train them, to make sure that they’re satisfied with their job? And I think those are the things that I’ve been focusing on and try to focus on more at the office. Ashley: And you talked about some of them being budding entrepreneurs, and so finding that balance between encouraging that, and you essentially have the hot bed for that personality, but also not sinking resources into talent that’s just about to jump ship, right? Steve: Yeah, great job. I didn’t know that… I know you’re doing business with half my staff behind the scenes, you know? Great job! So, I think that yeah, that is a big challenge because it’s a two way straight, right? And I wanna feel rewarded, but I want them to feel rewarded. And the worst thing that can happen is when you dump a lot of energy and efforts into resources and then that happens. Steve: But you nailed it, that’s our biggest challenge. Ashley: Yeah. And by the way, you’re hiring for that. You don’t want somebody who, a) isn’t desirable to somebody else, b) doesn’t have aspirations to move beyond where they are. That’s desirable in candidates, right? But that’s also the death now of a long-term relationship. Steve: Yes, it is. When Tech Startup week was here, and Gary Vaynerchuk was taking questions and we went to the event in Tampa and it was a Q&A section, and all these people jumped in line, so I’m like there’s no way I’m gonna be able to ask him this. But I wanted to ask him this one question, which is how do you decide between when you should take on partners and when you should take on more employees? And that’s a key ingredient to businesses. And with partners you kind of know what the expectations are, and you’ve aligned yourself with them, right? But with employees that’s the challenge, right? Is they want personal growth, that’s what you’re going after, and then you get them to a certain level and it’s like okay, what do we do with you now? Or they wind up going somewhere else. And so, it’s definitely a challenge in our business. I think for us to grow… we almost had to look at it as when Outback looks for new locations and have a proprietor that runs a location, they have a vested interest in it. And so, I think with being in the hospitality, and I consider the co-work aspect of what we do with Station House to be hospitality. You do the same thing every day. We have customers come in, we have to meet every single one of their needs and we have to keep them happy and we have to keep them coming back. It’s the same exact thing that we do with our hotels. And any problem, whether it’s big or small, the stapler breaks or whatever – the printer is broken or whatever, we have to jump on it, we have to fix it then, otherwise… When a person goes on vacation, you’re making their life easier, so they get a vacation. Station House is when a person goes to work, you’re making their life easier, so they can go to work. And so, I think we have to take on that hospitality mindset when we do open more locations, and that’s why I’ve chosen not to go out of the Bay area with location – we’ve had opportunities to go in other states – is because we really want to get the formula right here in town and have it be in our backyard before we decide what structure we’d do in another city. Joe: It’s still not too late to cancel the Tampa one, just so you know. That’s alright…Sorry, I forgot my lesson, I’ll stop my lesson. Sorry. Ashley: Sticks are in the ground. Steve: He saw better. I’m taking him to the ground breaking. Joe: I’ll run away with your ribbon. Ashley: Tear it with the teeth to stick. [laughing] So, when we talk about work space and we talk about creating pods and areas for people to plug in and to stay connected, do you have any vision as to how evolving technology will change the landscape of your interior builds? Go. Steve: Well, technology is outdated by the time you finish, same technology. Steve: Right. And so, that’s what has deterred me from doing a lot of high tech things with our space, is the fear of it being obsolete. And so, we try to just focus on the main touchpoints of technology that are important, which is your ingress and egress to the space, and which is having proper credentials to get in and out of the space. Now, from an evolution of the office space, I think there’s not a lot more to the technology in this space and providing good Wi-Fi and a comfortable place to work. And so, I think as a culture we’ve evolved to the point where yes, we are completely mobile now, and it really comes down to can we provide a comfortable environment for people to do business in? Because they have their laptops and they have their phones… But beyond that, I think technology doesn’t drive the co-work as much as it drives the hotel space, it’s much bigger in the hotel space. Because you have Alexa with Amazon, you have Airbnb that provides different technology now, and you have access points for hotels and you have a lot of different amenities, I think, fit more in the hotel side of things than they do on co-work. Ashley: I know there’s a large company locally that has different conference rooms and it’s certainly not technologically advanced, but it has large screens where then they satellite in, almost Skyping in, people from different parts of the country, to have conference calls. And so, then their privacy and confidentiality concerns, so that won’t be happening in the main congregation space, it would happen in conference rooms or other places. So, it’s interesting to see how larger corporations and spaces like yours will be pivoting with that expansion. Steve: We will have a video conference, we’re going try to have a studio there on site in Tampa, which should maybe attract Joe. Steve: I said the word ‘studio’. Steve: [laughing] So, those amenities are important to us, video conferencing obviously. But also, remember, it’s a lifestyle too. Steve: So, we wanna have a changing station too for people with kids. We wanna maybe look into having daycare or night care, so we could accommodate the 24-hour entrepreneur and families. And living and working, it overlaps so much nowadays, right? Because we go back to people wanting freedom. You want freedom. And so, you want to be able to maybe take a break for three hours during the day and go back to work at night. We want to be able to accommodate everybody in the best way that we can. Ashley: Well, that’s interesting. Have you been to Google’s campuses, or some other major employers, like you’ve seen the immigration of child care and some other…? Steve: Yeah, well, I’ve been to a lot of the co-works in New York. I haven’t been to Google campus. I’ve studied WeWork and what they’re doing and large corporations… I’ve been to some big campuses… and that’s kind of the common denominator, which is you can’t forget that people have lives. Even though they’re working, there’s amenities that need to exist, and so we’re gonna have showers, we’re gonna have locker rooms there, right? Because that’s a convenience for people, right? And time is valuable. Steve: Yeah, we’ll have fitness. Ashley: …or a space for that? Steve: No, I’m just picking at Joe. Ashley: I find that Tampa – but I’m not assuming that you have a Tampa grudge, but I just find… I lived in Boston for some time, and one of my least favorite facets of that experience was the grudge that the Red Sox fans had prior to wining the World Series, which I was present for. And then I saw the change in attitude almost overnight, and I found that to be just a big weight. We love you, Tampa. Steve: I love my home. Joe: I love Tampa. I don’t know, I feel like I might end up being one of those people that changes all the road signs, so nobody comes here, but they get in some of those local California cities as the… No, Tampa’s great. Ashley: We don’t benefit that there’s no… Yeah. We are better together, right? Ashley: I think that’s what one of our guests said, they said, remember…? Joe: Ruining this moment with that word, we don’t say that here. Ashley: He hates that, that’s his least favorite. I’ve podcasted with Joe for, what? Half a year now? And I have learned, if I’ve learned anything, is you hate the word ‘synergy’. Steve: The whole is greater than the sum of its parts. Ashley: …than the sum of its parts. Isn’t that written on your wall? Steve: It’s on our wall, yes! Steve: It’s on our wall. Ashley: I feel like I… Yeah, I’ve read that somewhere. You might know this, but we shot the Economic Development Corporation video. A lot of it was at Station House, do you remember that? Steve: Yeah, it was pretty amazing. So, that’s the kind of stuff I like. Joe: Yeah, you know who directed that video. Ashley: And Tim Moore, Diamond View Studios. Joe: Ashley, she did a great job. Steve: It’s amazing. I tell you, the power of video is beyond anything else. Ashley: You should listen to Tim Moore’s podcast with SPX if you haven’t. Joe: He already has, I’m sure. Ashley: You will learn more… Look at his face. Ashley: Give him a drink and see what he tells us. Ashley: See what he tells us. Ashley: I think it’s 25 minutes, but it’s some real solid knowledge about the video space. Joe: It was some good knowledge in there, yeah. Ashley: I think he said you have six seconds to get your point across, or three hours, he said it’s the… the spectrum of attention is so nuanced now, and I know they’re having a blast with that. Steve: That’s like Vine, right? That was six seconds, right? And so, we did our video a long time ago with Reefhouse Media. Steve: Yeah, with Ronnie. And that was the greatest investment we could’ve ever made, that video is really the easiest way to get people to understand who you are. Ashley: Somebody actually sent me your video when I was about to produce something, and I agree that was well done. Steve: Yeah, it really… It was all about the members and we felt that was the easiest way, because we found ourselves always trying to explain what Station House is, and I think there’s no easier way to do it than through a video, right? Ashley: Yeah. You have virtual tour as available? Steve: …fish eye, panoramic view of the space. Ashley: Is that the only way to do it? Joe: They vary, I’ve seen a couple of pretty good ones. Joe: …and a lot of mediocre ones. Joe: Definitely flattens the energy if you do the virtual tour. Steve: Yeah, and I think you sell yourself short too, right? Because you have so much to offer. Ashley: And there’s no story. Steve: No. And so, we always try to encourage people to come to the location and feel the energy and be there, which is important to us. We hold a ton of events there, which is cool. Ashley: About three more minutes to get that in. Joe: We finish up each show with a shout-out, and it’s basically someone in St. Pete that – St. Pete specifically, nowhere else – that you think is doing a good work, that doesn’t get as much attention as they deserve. Steve: Why didn’t you tell me this before? That’s not fair. Ashley: No, you can’t… Are you giving away? Joe: What? No, I’m just saying that when I asked Ryan that question he started sweating because he was so worried about offending someone, and I know Steve doesn’t have the same sensitivity, so I’m not worried about it. Steve: No. Okay, so this is a shout-out to anyone that…? Joe: Yeah, just someone that you just feel like they’re doing good work and people aren’t noticing it enough as they should, and they deserve a little attention. Ashley: Somebody who doesn’t see you as much as they want to see you, and really wanna talk to you. Joe: And it’s not your fiancé. Stop, Ashley. Ashley: Okay, sorry. I’ve got a ring finger up. Somebody who misses you. Steve: Oh, Gosh. So, somebody in St. Petersburg that’s doing well and doesn’t get the recognition that they deserve… I don’t know, I kind of feel like if I said that, maybe they do get the recognition they deserve. Joe: Ah, DuBuque? DuBuque, yeah? Joe: Yeah. He’s running the show. Steve: Which is an extension of all the things a city can’t do and bridging the gap between public and private. Steve: Yeah and recruiting companies to come here and everything that they’re doing, I think that is a good first step, yeah. So, I get excited when I see him. Joe: Yeah, he’s got a great energy, he works tirelessly and he’s clever, too. Ashley: He’s doing some good stuff for sure. That’s a good one. Steve: It’s all about recruiting people to this area, it really is. We can’t – the area can’t grow unless we recruit talent from Boston and from New York and all these other places. And PandaDoc that came from San Francisco that we all had an effort in getting here… I’m just happy to see people coming here, really, that’s important. And I think his campaign to do that and his efforts, I think, are super important. Steve: Shout-out to J. P., then. Joe: J. P., that’s a good one. J. P. will be thrilled. Steve: Out to J. P.
Ashley: what’s up, what’s up. Joe: Actually, I was at Green Bench with J. P. last night and asked him how many podcasts he listened to. He’s like, ‘Well, I listened to two and a tenth.’ That’s what he said. Ashley: Two and a tenth? Steve: A two and a tenth. Joe: Yeah, he’s like, ‘Yeah, I listened to Chris and I listened to Craig Sher…’ And he listened to one more which I’m not gonna name, and he was, ‘Yeah, I got about a couple of minutes in and I kind of lost interest in it and that was it.’ So, I’m the counteract your shout-out by calling him out on not listening to enough of the podcasts. Steve: Just tell him to listen to the tail end, to the ninth-tenth part of this one and he’ll be happy. Joe: Yeah. I like it. Steve: Yeah. Just skip ahead. Joe: Alright. Thank you, I appreciate it. Joe: And keep up the good work.